Oyster Creek nuclear plant. Photo by KyleAndMelissa22, Wikimedia Commons. The Oyster Creek nuclear plant, located near the New Jersey shore, will be completely dismantled between 2075 and 2078. Even though the closure of the 50-year-old plant will take place by the end of 2018, officials with the US Nuclear Regulatory Commission announced this week that it will take much longer to completely shut it down. During a press briefing, the NRC said that the facility will stop producing electricity just before summer ends, yet radioactive material could be on site almost until the end of the century. The process of removing the nuclear fuel rods that remain at the site and moving them from storage pools to dry storage units or casks will take place immediately after the shutdown date and it may take about 5½ years to complete. According to Ray Powell, an NRC decommissioning official, owner Exelon has moved nuclear fuel roads into 34 steel casks. Another 40 casks will be filled with the remaining nuclear fuel roads once the plant shuts down. 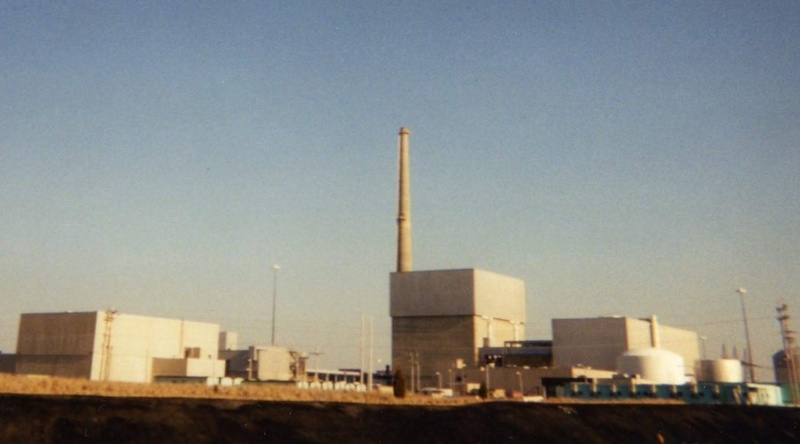 Powell's colleague, Neil Sheehan, said that given that there is no national repository for spent fuel, the only option is to store the spent nuclear fuel on site. A report by the Associated Press states that the plant reached a deal with New Jersey regulators to shut down earlier than permitted in exchange for not having to build a costly cooling tower.